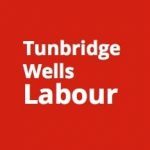 Tunbridge Wells Constituency Labour Party site does not automatically capture or store personal information, other than logging the user’s IP Address or the location of your computer or network on the Internet, for systems administration and troubleshooting purposes. (If you are connected to the Internet you have an IP address, for example an IP address might read “154.198.99.9”). We also use IP addresses in the aggregate to track which pages people visit in order to improve the quality of the site. You may be asked for personal information if you complete one of the forms on this site. Please see below the information we ask for and what this information is used for. In each case we will only use the information about you for the purpose for which you provide it. Personal information you submit on the Tunbridge Wells Constituency Labour Party website is stored on secure servers. We will never sell or share your personal information with any other organisation outside of the Labour Party. You may remove or change your details at any time. You have right of access to your personal information held on our files by written request to the data protection officer (address below) and on payment of an administration fee. 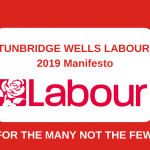 When you subscribe to our emails or fill in a form on literature produced by Tunbridge Wells Constituency Labour Party, we ask you for contact information (such as your name and e-mail address), geographic information (such as your postcode), and other details about you and your interests. This is used to help us provide you with information to match your interests. We may also use it to alert you of campaigns you may be interested in and events happening in your area. The information we ask for is used to process your donation and, if you donate more than £500, to check that you are on the electoral register. If you donate more than £1,500 to a Labour Party accounting unit (e.g. Constituency Labour Party) or more than £7,500 to the Labour Party nationally in the course of a calendar year, your name and the amount of your donation will be reported to the Electoral Commission for publication on their public register of donations to the Labour Party. 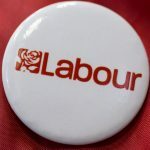 Donation information will be stored on our membership database and used to keep you informed of Labour news, campaign and other opportunities to support the Party.